We are a small 5 acre campground with a total of 24 hook-ups from electric & water to full service connections. We have in addition to our camping sites, 4 Lil Cabins, 3 Big Cabins.Trees, lots of Trees for your shaded enjoyment, some over seventy five feet tall. 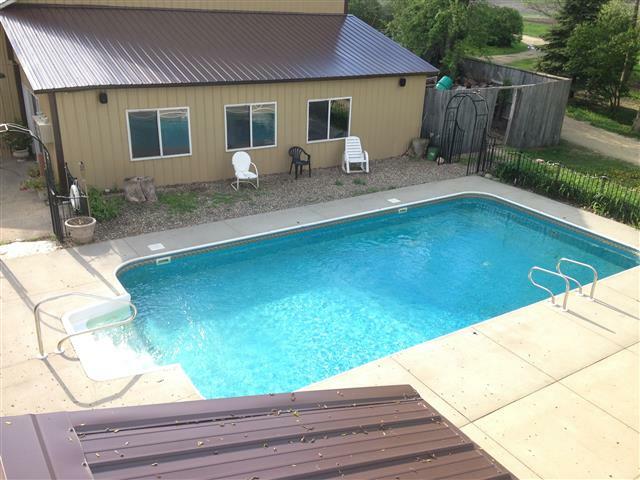 We also have a 16k gallon in-ground swimming pool & six seat hot tub to enjoy. 20 foot diagonal movie/video gaming screen to watch your movies, our movies, anyone's movies. Plus we also have Barn Dances, Bands and D.J. 's performing here through out the camping season. Come and party with us. Catering to all walks of life. We believe in equality, so we kindly ask you to treat everyone with respect and dignity. In the same manor that you would wish to be respected. Leaving any and all bigotry, ill feelings, prejudices, malcontent or loud outspokenness at the main gate.